YOU GUYS. 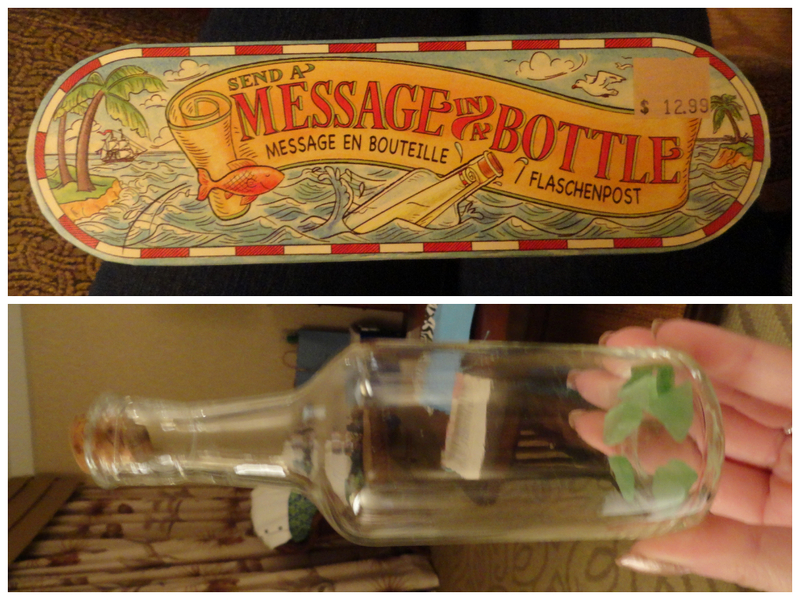 I’m currently on vacation down at the shore, and you won’t believe what I found nestled on a back shelf in a shop — a message in a bottle kit! It even has a map of the ocean currents and customized notepaper to slip inside. I had to buy it for my writing desk, and I included some sea glass, too, since that also plays a role in my book. A message in a bottle for my novel about a message in a bottle — what are the chances? Gotta love kismet. Haha that’s awesome Shari! :) Are you going to write the message that’s in your book in that bottle? that is so, so awesome. I’ve always wanted to do that!